← In the Gospel, Punctuation Makes All the Difference. 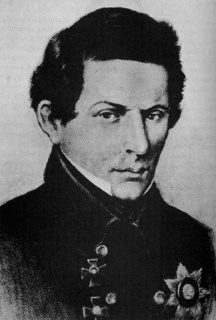 Doesn’t Lobachevsky look kind of haunted? An equilateral triangle with three right angles…NOT! The fine arts imitate the order in nature, they do not attempt to impose some new kind of order. The works of science fiction might be thought of as impositions of man’s imagination upon nature- or against nature, but the fine artist finds beauty in bringing out the order that is already in nature, and making it even more manifest to our senses. 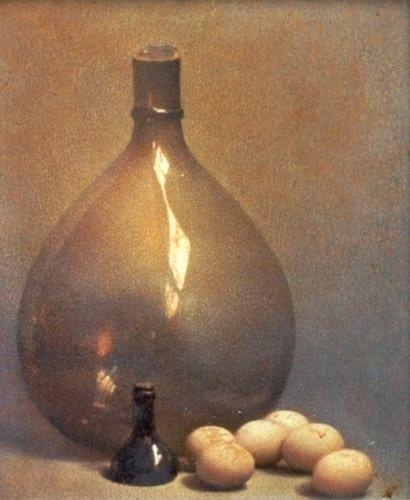 My wife’s grandfather (the “American Painter” Carl Schmitt) knew about the order in things – especially eggs! The point here is that the fine arts are works or discoveries of reason that bring forth the order that is in nature. It is not the job of the fine arts to be “creative” as if the order that man creates is something that merits to be called ‘divinely inspired.’ The fine arts are gifts of the muses to man- not gifts of one man to another. This is why the fine arts are able to uplift men. They stem from principles which are above man, and therefore have the capacity to lift man above himself. Music, preeminent among all the fine arts as a work of reason, is orderly and imitative of the order that is in nature. This is easy to see if one considers that among the fine arts (e.g. sculpting, dancing, painting, architecture, etc) music is the art which is most directly related to mathematics. This is not to say that the other arts, like architecture (which is obviously related directly to Geometry) are not related to mathematics. I am merely asserting that music is the art most directly related to mathematics. 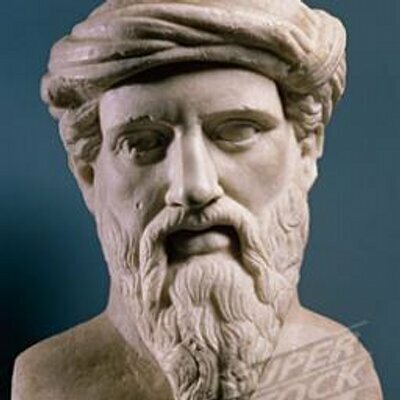 The very sounds that produce music are all products of various mathematical ratios, like the octave and the fifth, as the immortal Pythagoras discovered. And of course, tempo and rhythm are obviously governed by mathematical principles as well. The fact that music is the most imitative of the mathematical order that reason knows, is certainly a reason why music is the only fine art that made its way into the sacred seven liberal arts of the quadrivium and the Trivium. Now Mathematics itself is a beginning part of philosophy and the study of mathematics is necessary for anyone who wants to pursue philosophy. But the point here is that Music is a work or discovery of man’s reason about the order in the world (i.e. particularly about the order that is found in man’s soul with regard to his passions). This is also, loosely speaking a definition of philosophy. Philosophy, if nothing else, is a work of man’s reason in its attempt to know the various orders that are found in the world. Philosophy is Music or Music is Philosophy. And whereas Music attempts to imitate the passions individually as they exist in the souls of men, philosophy attempts to know the passions simply. Philosophy knows what the passions are with precision and it knows their excesses and defects. And finally philosophy knows how many passions there are and how they relate to one another as well as how the passions relate to man himself and his final end. Therefore we might agree with Socrates that Philosophy is Music and it might very well be figured under the name of music especially if we call philosophy the best and most noble music. That is the first reason but I like the next two reasons even more!